She must return in 365 days from the journey of 296,000 light years. In the year 2199, Earth was threatened by a deadly interstellar empire, and humans were driven underground with only one year to live. Then from space came a message of hope, and an ancient fighting spirit would be revived to answer it! The epic SF adventure that created a generation of anime fans begins here, with the first Yamato TV series! Planet Earth is counting down its final days to extinction at the hands of the mysterious Gamilas Empire. Space Battleship Yamato, the first to break the speed of light, embarks on a journey to Iscandar with the mission to retrieve the Cosmo Cleaner D, a radiation removal system that can rescue the Earth. What awaits Yamato is humankind’s first-ever journey of 296,000 light years. 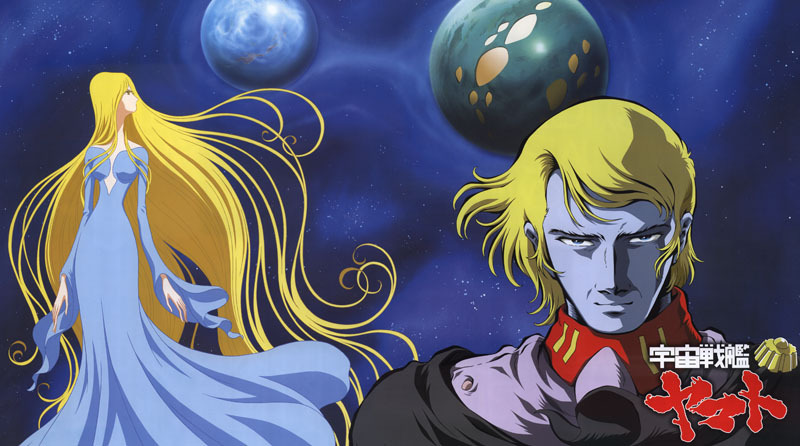 Originally broadcast in 1974, this groundbreaking SF anime series struggled against overwhelming odds in Japan to become a classic of the genre. In 1979, the English-language version, Star Blazers, took America by storm and ignited a passionate fire that still burns bright today! Its unforgettable heroes, dangerous villains, suspenseful adventures, spectacular battles, and emotional stories will continue to fascinate audiences for generations to come.